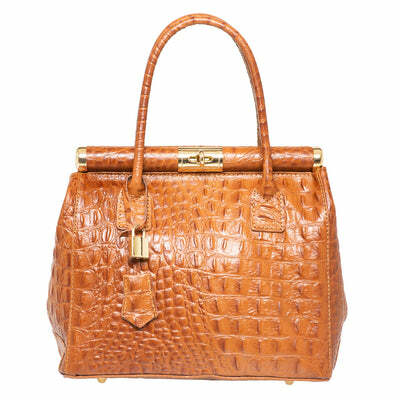 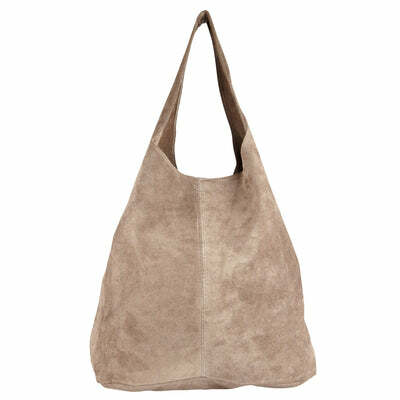 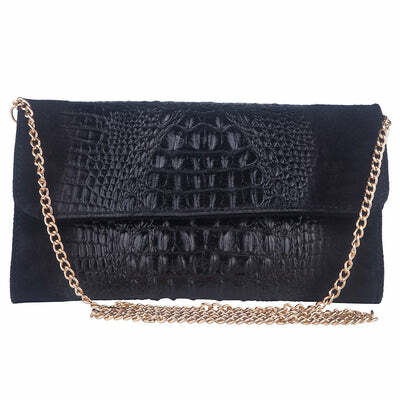 The Kim cognac croc effect Italian suede shoulder bag by Marlafiji is a bag for all occasions. 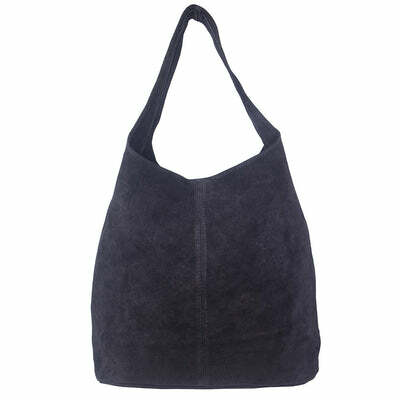 Designed with one main zip up compartment to keep all your valuables safe plus to side compartments for additional storage. 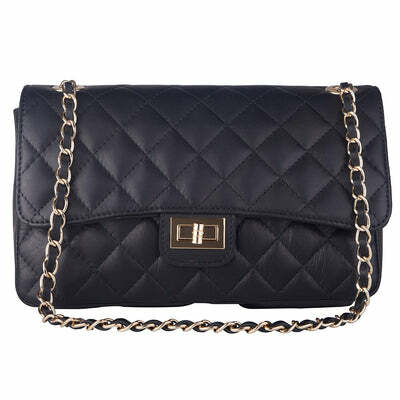 The cross body chain allows you to wear this style hands- free or as a clutch. 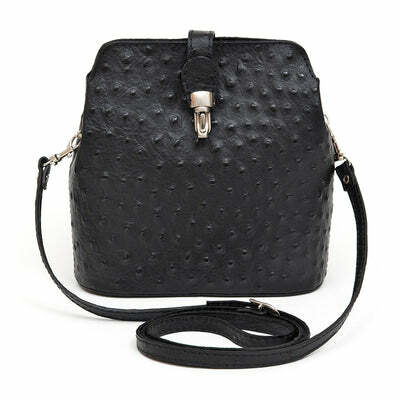 Wear to compliment any day or evening outfit.